Jair Bolsonaro was elected the next president of Brazil by wide margins on Sunday, beating his leftist opponent 55 percent to 45 percent. Bolsonaro’s victory could spell trouble for the Paris climate accord, an international deal he argues infringes on his country’s sovereignty over the Amazon rain forest. Backers of the Paris agreement have vowed to enact swift punishments to any country that decides to opt out of the agreement, giving Bolsonaro reasons to stay. President-elect Jair Bolsonaro’s victory in Brazil has provoked international concern that his disdain for the Paris climate accord could unravel the agreement altogether. Despite its status as the world’s sole superpower, America’s rejection of the international agreement did not ultimately kill it. No other country has followed suit, while numerous state and local politicians have vowed to work around the federal government to adhere to the agreement. However, America’s status as the only country to reject the Paris deal could be coming to an end. 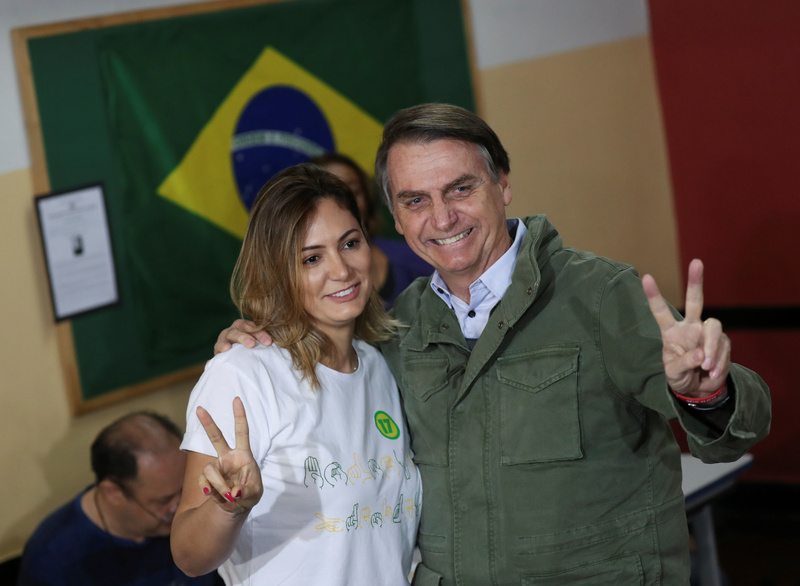 Brazil on Sunday resoundingly elected a conservative politician who has shown as much antipathy for the international climate agreement as Trump: Jair Bolsonaro. While on the campaign trial, the 63-year old congressman pledged to leave the 2015 global agreement, telling supporters that it infringes on Brazil’s sovereignty. However, the conservative lawmaker moderated his position in the waning days of the election, suggesting that he would keep Brazil in the pact as long as assurances are made that the government can maintain its sovereignty over the Amazon and indigenous lands in the region. “Could we run the risk of losing our Amazon in the Paris Accord? You have the answer,” Bolsonaro said Thursday at a press conference in Rio de Janeiro. Should Bolsonaro feel that these guarantees aren’t met, he could follow Trump’s example by walking away — taking the most influential South American country and fifth-most populous in the world with it. Not only would the exit of a large and influential country deal a devastating blow to the Paris climate agreement, but Brazil’s ownership of the Amazon makes it a strategic member of the pact. Representing over half of the world’s remaining rainforests, the Amazon is an essential sink for the globe’s CO2 emissions. Millions of dollars in subsidies are given to Brazil to reign in deforestation. However, major international supporters of the Paris deal would enact swift blows to the Brazilian government if it were to withdraw. French President Emmanuel Macron announced in a United Nations speech that his country — and all of the EU by extension — would not enter into a trade deal with any country that is not signed onto the agreement. Not only would Brazil lose out on its subsidies, but its agricultural sector would lose big on exports. Beyond environmental issues, Bolsonaro will bring a host of other conservative reforms to Latin America’s largest country — which hasn’t elected a right-wing candidate in 20 years. The former Army captain has vowed to restore law and order to Brazil, long ridden with crime, by giving police more leeway in conducting operations and allowing “all honest citizens” the ability to own a gun. He plans on liberalizing the country’s economy, which has suffered stagnation for years at the hands of more statist leaders. Bolsonaro has also expressed interest in moving the country’s embassy in Israel to Jerusalem. He also wants to close the Brazilian embassy in Palestine, saying that it’s not a country.